Phoenix Junk Hauling is the leading reliable company for hot tub removal business in Phoenix, AZ and the surrounding areas. Our crew is dedicated to providing professional workmanship with a level of integrity unmatched by the competition. We are an established furniture and junk removal company devoted to using long-lasting equipment in any of our removal services. Whether you need a hot tub or sofa taken out of your home, we get the job done. 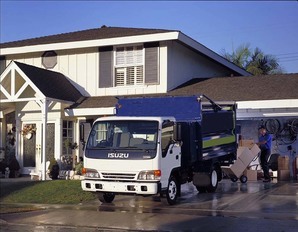 Our movers are fully skilled to handle any type of furniture hauling work. We possess an extensive knowledge of the junk removal industry, necessary in providing the most comprehensive, economical solution to any hot tub removal challenge. With us, you will receive a clear proposal of all work to be completed. We take pride in delivering exceptional customer service from beginning to the completion of your project. As your hot tub removal contractor, you can always count on us for superior work and quality service. This committed approach is what drives every hot tub removal project we undertake and fuels our outstanding reputation. We know your residence is your prized investment. 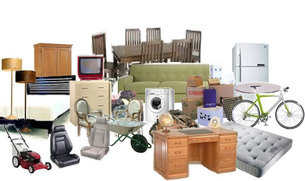 We are fully equipped to handle any furniture removal issue that may arise. You can trust us to provide the highest standards of excellence and professionalism. We treat every project as if we were working on our own home. If you are seeking a talented and skilled contractor, come to us. Because removing each hot tub offers different challenges, from the type of hot tub to the size of it, we provide an honest inspection of what needs to be done. Our company is insured, and we stand behind all of our work. ​We guarantee cost-effective solutions delivered by trained movers. A guarantee is only as good as the junk hauling contractor that backs it. We are dedicated to keeping our customers satisfied with every job that we do, no matter how big or small. Your hot tub is susceptible to many weather conditions. Your hot tub takes a beating after so many years of usage as well. When the time comes to get rid of it, you need to have the right team to do the job the right way. This is where we come in. Our skills are what make us leaders in the junk hauling industry. If you need to get your hot tub removed, consider the furniture removal experts at Phoenix Junk Hauling.